Are you bored of legacy caller applications? Here is the best alternative. 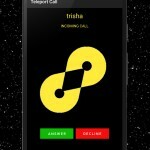 Virtual Reality Caller application for Android. 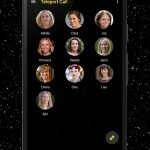 First of its kind caller application which teleports you and your partner to a virtual land whenever you are on call. Virtual Reality mode will be enabled on both the ends to immerse yourself along with your mate. 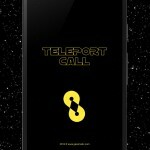 Teleport Call comes along with a streaming Video Player to show immersive content on user’s mobile. The Video Player is the ultimate VR player for virtual reality and 3D videos that gives you full control and supports all modes. You can easily configure any parameter in our VR player with its intuitive UI and out of the box VR experience. – Perfect head tracking response with true VR experience along with real time movements. – Control all display parameters, eye distance, lens correction, field of view (zoom), brightness, saturation, contrast or seek video position. – Support for all modes, including: Stereoscopic side by side, SBS, stacked, 180º and 360º, panorama 180º or 360º videos. And more features are coming up. 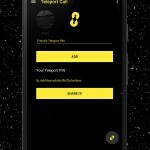 TeleportCall app will support Google Cardboard, View Master, Samsung Gear VR, VR Shinecon, BOBO VR, DODOcase, Unofficial Cardboard, Homido and other headsets which will support mobile phones to feel Virtual Reality. The app is unique in its way in any of the app stores with the aim to become youtube for VR contents and be a world class product. This app will work with Samsung GearVR also. Please visit the Oculus Store. 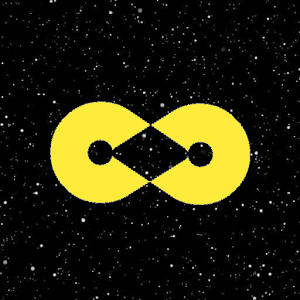 This app works with any mobile stereoscopic headset with a built in accelerometer. Is India ready to face Virtual Reality?